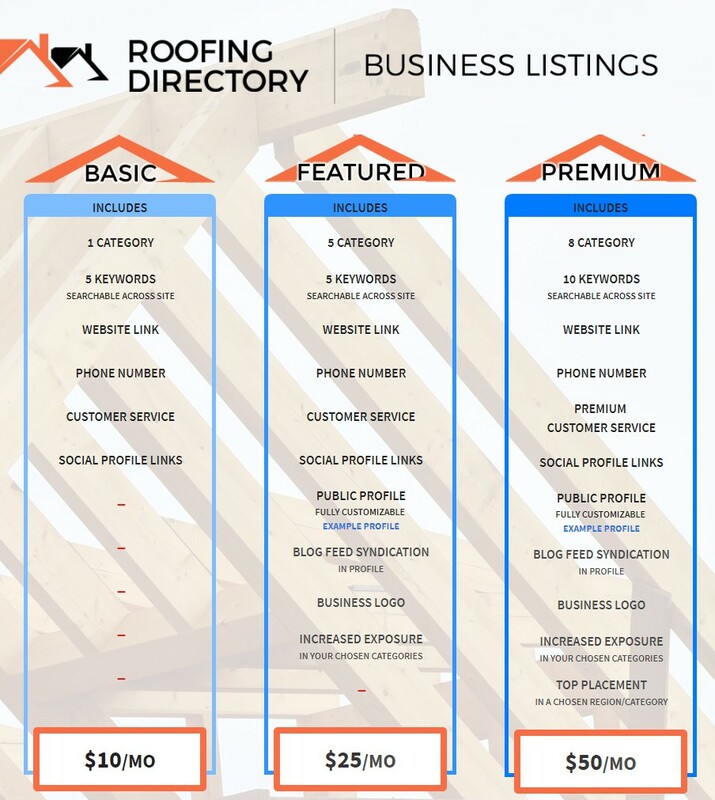 Roofing-Directory.com is the internet's best source for homeowners to find qualified, reputable roofing contractors. We are a site that is dedicated to roofing and providing real info and real companies for homeowners. As such, our website gets a ton of traffic from individuals who are in need of roof replacement, repair, inspection or other services performed by both residential and commercial roofing contractors. This is the best option for small roof contractors and companies who are on a budget, or for full-service home improvement firms that only need a few roofing leads as they also handle other types of projects. To get started, add your roofing company today. All you have to do is fill out the form and pay online. GET STARTED!